LAAA is planning an art immersed trip to Seattle on September 19 -22, 2019. Known as an international center for contemporary glass art practice, Seattle offers many exceptional art experiences. Our exclusive itinerary includes a exclusive tour of the Chihuly Studios, a private tour of the Seattle Art Museum, artist studio visits, guided gallery tours, "hot shop" glass studio tour and much more! Price is $2100 per person * and includes 3 nights hotel and transportation for all art activities on September 20 and 21, one group meal and all programming. Airfare not included. Don't miss out, Click here to sign up online today! You can also call the gallery with payment 310.652.8272. Gallery hours are Tue. - Sat. from 10am-5pm. Please join us August 16-19 as we head to Boston and MassMoca. Our busy itinerary includes a full-day trip to MASS MoCA. 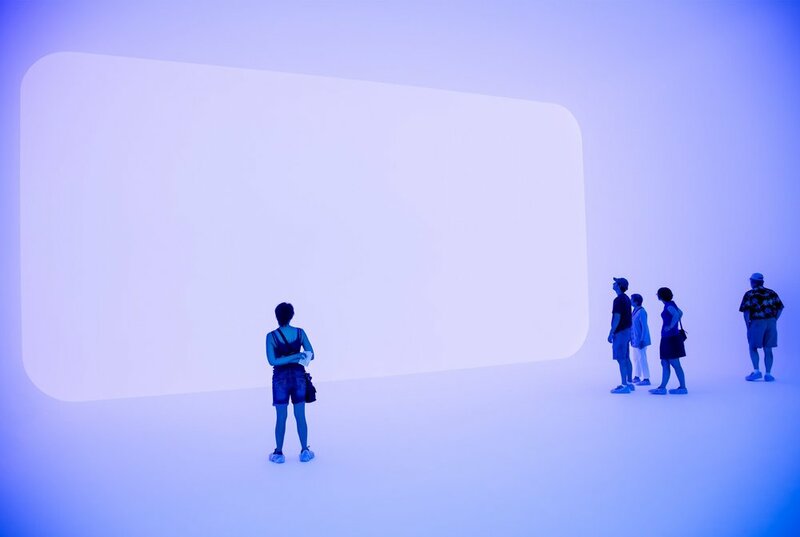 Unlike any other museum, MASS MoCA exhibits art by both well-known and emerging artists, focusing on large-scale, immersive installations that would be impossible to realize in conventional museums (with 250,000 square feet of open and often naturally lit space). We will also visit the ICA Boston, The Clark, Harvard's Carpenter Center for the Visual Arts (the only building actually designed by Le Corbusier in the United States) and much more! Price is $2400 per person and includes 3 nights hotel at the Boston Marriott Long Wharf (Walking to the ICA), transportation for all art activities on Friday, August 17 and Saturday August 18, one group meal and all programming. Airfare not included. Space is limited, first come, first serve. You can also call the gallery with payment 310.652.8272. Gallery hours are Tue. - Sat. from 10am-5pm. THIS TRIP HAS BEEN POSTPONED. PLEASE CHECK BACK FOR NEW DATES. Why Arkansas? Mainly because of our private tours of the collection, sculpture trail and architecture of the celebrated Crystal Bridges Museum of American Art. Founded by philanthropist and arts patron Alice Walton and the Walton Family Foundation, Crystal Bridges houses one of the most lauded collections of American Art in the nation. The building was designed by world-renowned architect Moshe Safdie and its permanent collection spans five centuries of American masterworks ranging from the Colonial era to the current day. Sculpture and walking trails link the Museum's 120-acre park to downtown Bentonville, Arkansas. We will be staying at the exclusive 21C Museum Hotel, located on the northeast corner of the Bentonville town square and a short walk to Crystal Bridges Museum of American Art. Named #1 hot new hotel in the United States by TripAdvisor.com, 21c Museum Hotel Bentonville is a 104-room boutique hotel, contemporary art museum and cultural center. We will also be visiting local artist studios, the Frank Lloyd Wright House and enjoying a meal at The Hive restaurant (led by executive chef Matthew McClure) and more! Price is $2200 per person (based on double occupancy) and includes 3 nights' hotel 21C Museum Hotel, transportation for all non-museum art activities, 1 group meal at the Hive Restaurant and all programming and private tour costs. Trip does not include airfare or transportation to and from XNA airport. This itinerary included a trip to the Anderson Collection at Stanford, private tours of SFMoMA, Jessica Silverman Gallery and the Catharine Clark Galley, studio visits to see artists Travis Somerville, Ray Beldner, Wanxin Zhang and Taravat Talepasand as well as rare visit to one of San Francisco's leading private art collections. In Barcelona, featured venues included MACBA, Miro Foundation, Tapies Foundation, modernist architecture, gallery and artist studio visits. In Bilbao, featured venues included Guggenheim, gallery and artist studio visits, and day excursion to San Sebastian to visit the Chillida Foundation. The itinerary included a private tour of the newly renovated SFMoMA, artist studio visits including Wanxin Zhang, guided gallery tours of Jessica Silverman Gallery and Catherine Clark. An artist talk with Stacey Steers, a private tour of the Rappaport home and collection also a visit to the Anderson Collection. Those who traveled with LAAAb’s international trip to Cuba discovered the culture, a land frozen in time yet possessing a vibrant art, music, cultural and intellectual life set in a time warp. There were exclusive access to artists studios, a guided tour of the Museum of Fine Arts, special dinners at private homes.and attended the International Ballet.